Refuge tells the story of a refugee claimant from the Horn of Africa and the struggles he and those around him face as he tries to make his way through Canada’s convoluted immigration system. The story is adapted in part from the CBC Radio documentary, “Habtom’s Path” by Mary Lynk. Ayinom is a former soldier from Eritrea who has arrived in Canada without papers and seeks refugee status. 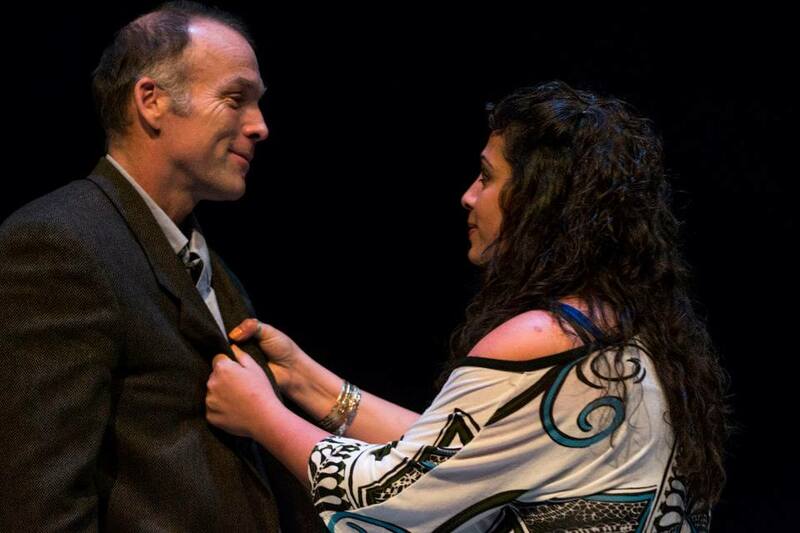 Seen through the eyes of the couple that take him in and the lawyer who represents him, the play lays bare the shortfalls of the refugee system as it exists in Canada today. Refuge combines two distinct aesthetics: adding “verbatim” text from CBC radio interviews to the fictional world of the characters involved. Written by HomeFirst’s Artistic Director Mary Vingoe, Refuge had its world premiere in 2013 in a co-production with Eastern Front Theatre. The script was a Finalist for the 2014 Masterworks Prize.